I an nurturing a question in my mind, since I visited the King's palace and the Queen's bath house yesterday, as to where the Queens of the kingdom actually resided. I later found out, that a separate barricaded enclosure or a harem existed for all the queens and the concubines of the king. 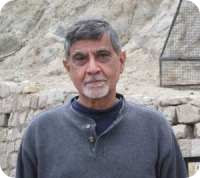 I am on my way now, to see this area, also known as Zenana Enclosure. This enclosure is quite far away from the royal palace and also has a strong wall around it. In one of the places this wall has fallen to ruins. 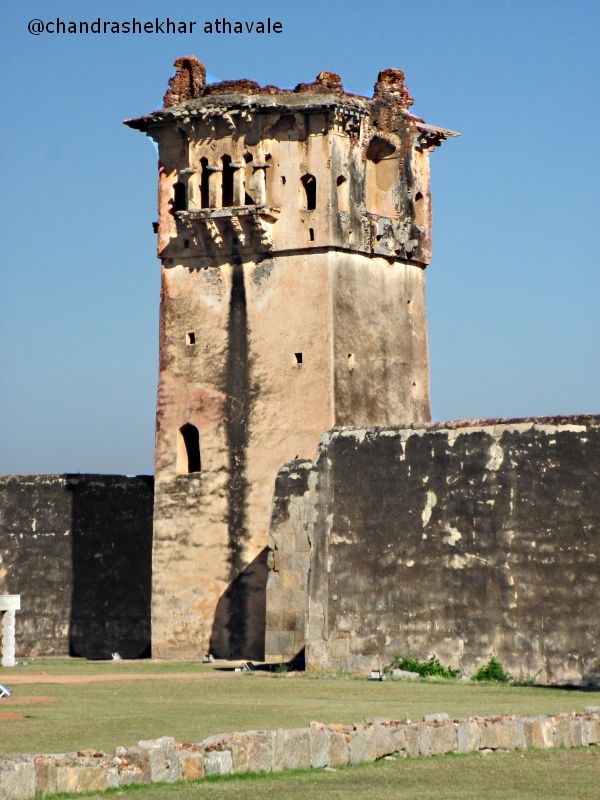 Just one look at the broken wall is enough to convince how strong this fortification must have been. This Jenana enclosure was built like a jail. Once a girl enters this enclosure, it was almost impossible for her to get out. I have read one interesting story about this. 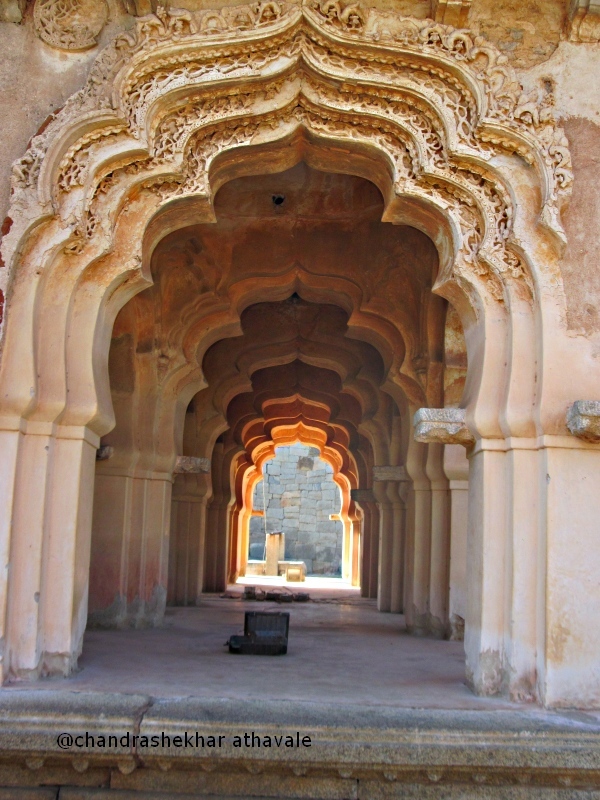 In one of the villages in the jurisdiction of Hampi's staunch enemy state, the Bahamani empire, there lived an goldsmith, who had a stunningly beautiful daughter named as “Prayal.” This girl not only was very beautiful, but was also an expert in all the arts like music, painting and conversing with others. Somehow. 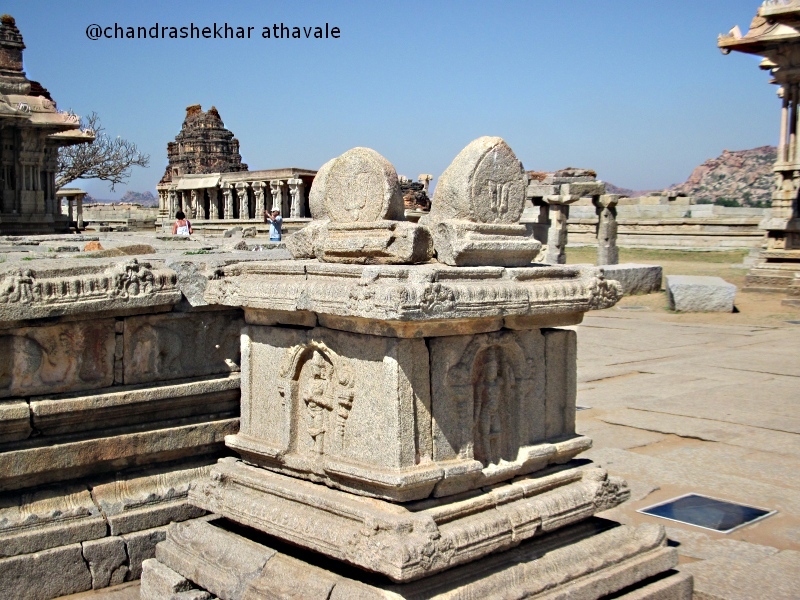 King Devaraya of Hampi came to know about her. The king sent one of his court Brahmins to her village to somehow bring her to Hampi and also sent an expensive choker type gold ornament to entice her. 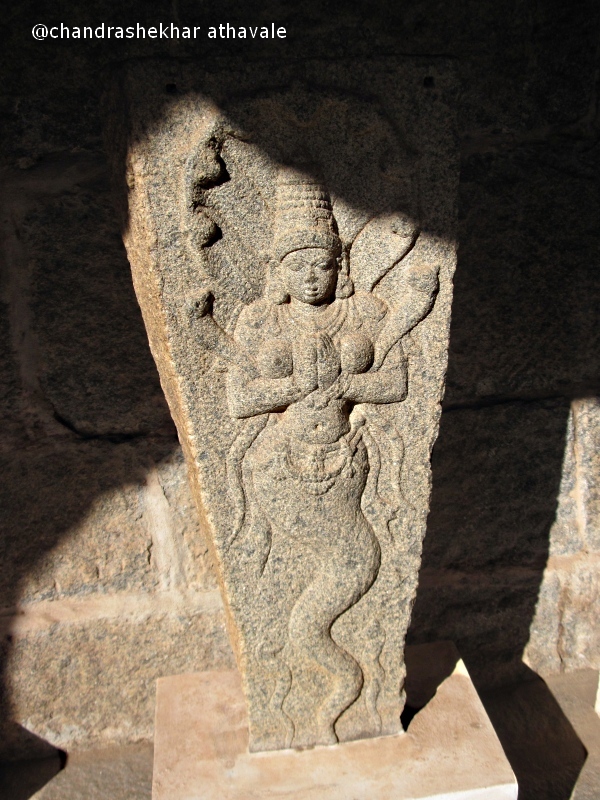 This clever girl however knew that going to Hampi would be like going to jail and she would never be able to meet her parents again and refused to go. King Devaraya felt very offended with her denial and himself lead an army of 30000 soldiers to her village. 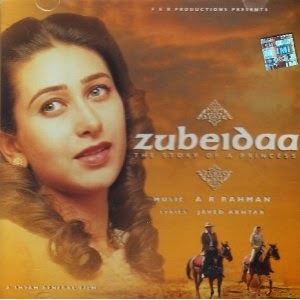 After hearing that the king is marching with his army, this girl, along with her parents, disappeared in the jungles. The army of Hampi caused great amount of destruction in the Bahamani empire region around the girl's village and returned empty handed. When Bahamai Sultan came to know about this, he collected a huge army and marched to Hampi itself. King Devaraya had to finally sign a treaty with the Sultan and had to pay a ransom of 1 Million Gold coins, 50 Kg of Pearls, 50 elephants, 2000 male and female slaves and had to marry off his own daughter with Bahamani Sultan. While going around the Jenana Enclosure, I am getting reminded of this story again again. This enclosure, surely must have felt like a golden cage for all the ladies who stayed within its perimeter. I cross the entry gate. There is a huge open ground ahead of me. At the middle there is a stone brick plinth, about 150 feet long and 90 feet wide, of the Queen's residence. This plinth is stepped and on each of the steps, just like the royal palace, there are stone panels with extremely delicate carved patterns. A Sandal wood palace once stood on this plinth. Just opposite the Queen's residence, there was a shallow lake (now empty). At the center of the shallow lake there is a platform again with delicate carved panels on all sides. 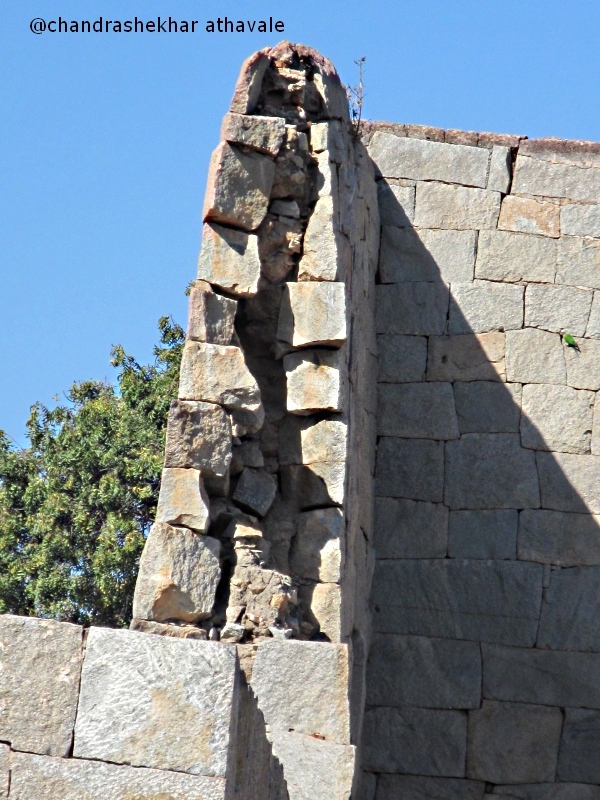 A building known as “Jalmahal” or lake palace was built on this platform. Being in the middle of a lake, this structure used to remain cool even during hot summer. There is also another water reservoir, for use of the enclosure inmates. In one corner of the enclosure, a building without any windows, still stands. This was used to store all the gold, precious jewels and other expensive things. There is one more building that looks like a half bloomed lotus and still stands erect, known as “ Kamal or Chitrangani Mahal” or Lotus Palace. 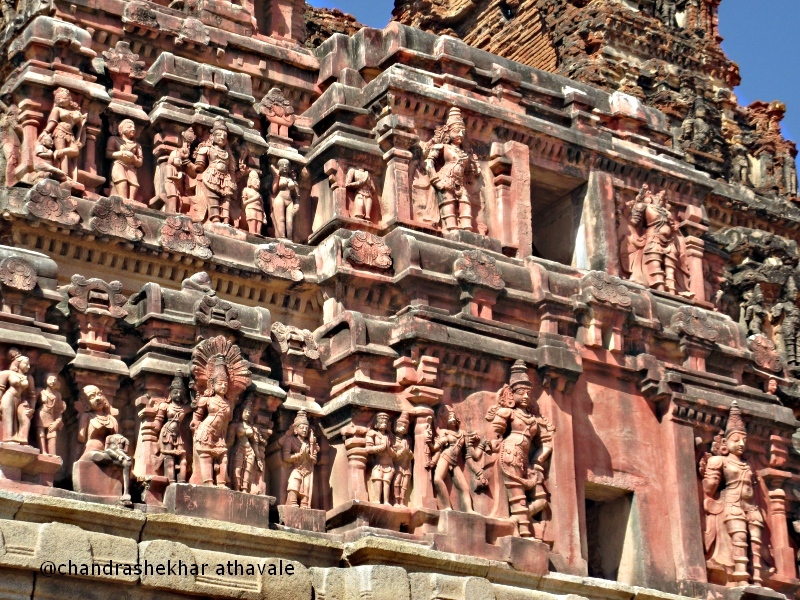 This building with brick construction and lime mortar plaster, has a unique kind of design which appears like fusion of Muslim and Hindu styles of construction and probably was saved from the invaders because of that. There are huge open arches on all sides of the building with lotus buds embossed on inside of the central dome on ceiling. The arches on sides have nice delicate design patterns created in the plaster and were covered from inside with huge silk curtains. 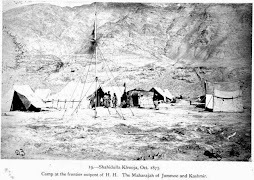 Arrangements for anchoring the silk curtains can be still seen. To the northeast of Jenana enclosure, are the elephant stables. 12 elephants used to be housed here for the use of the Queens. The elephants were never chained at their feet but near their chest and the chain was hooked at the ceiling, where a suitable iron hook was fixed. The staff attending the elephants used to stay nearby in a building with a very high plinth. This building was also used by the ladies to mount the elephants. 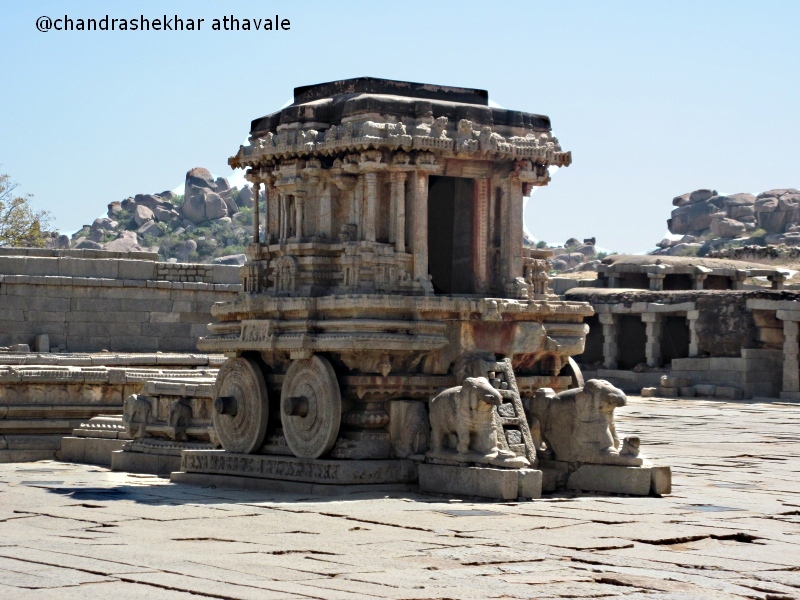 Our bus is now moving north to last of the places, I intend to visit in Hampi, the “Viththla Mandir” or the temple of deity know as “viththala.” These ruins are known as best of what Hampi offers to the visitors. The bus stops quite far away from the temple site. I get a feeling that I would have to walk again over a large distance in the hot sun to reach the temple. However, I can see ahead, a battery operated stylish minibus, available from this point onwards. These buses have been provided by the Government to prevent any damage to these world famous ruins with diesel or petrol smoke. The first stop, where the bus stops is a huge weighing balance frame made from stone. The balance was used to weigh the king with gold on special occasions. The King would sit in one pan and the gold was put in the other pan, When the pans balanced, that gold was donated to the poor. 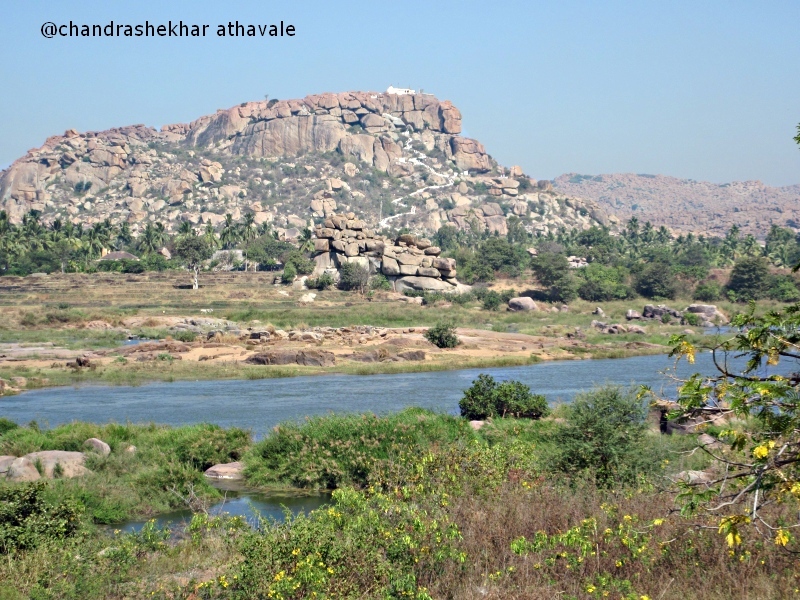 The bus moves to the next stop on the bank of Tungabhadra river. This is one of the most scenic spots found in Hampi, with azure blue sky above, the rocky hills all around and picturesque river bed right in front of me. 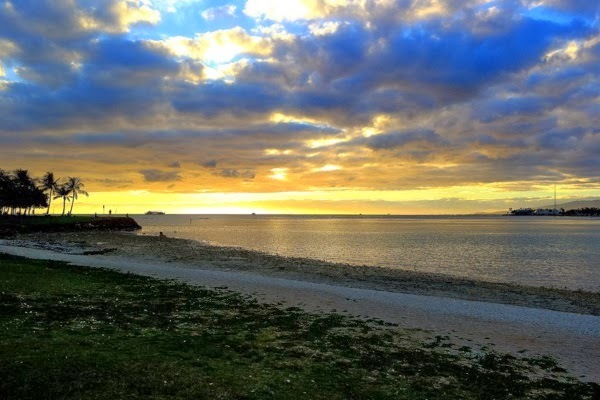 The scene is so stunning that I do not feel like moving away from this place. Just on the bank of the river, there are ruins of a dwelling, where Karnataka's greatest saint poet, Purandardasa stayed once. The river can be crossed here in huge wicker baskets. I feel like doing it, but I have to move on as there is no time left for this. 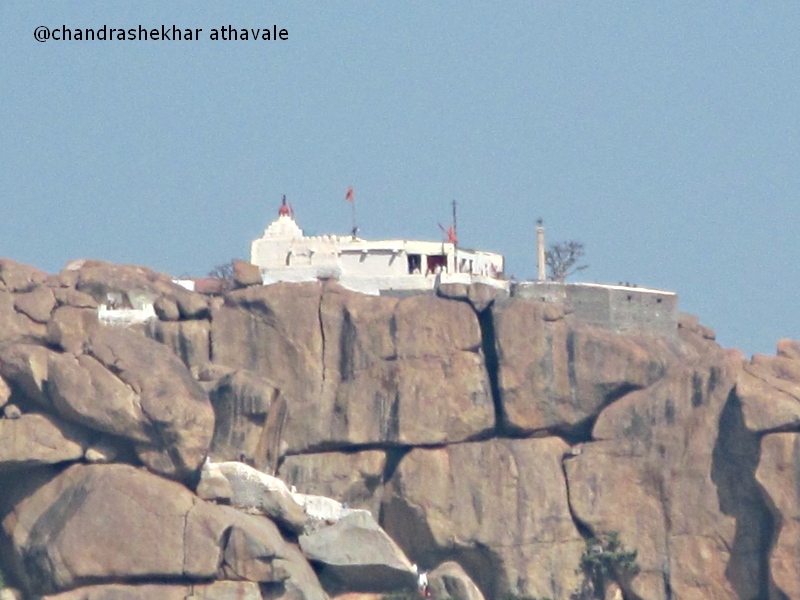 Just on the other bank, there is a tall hill called “Anjaneya Hill.” A brilliant white temple of deity “Anjaneya” or “Maruti” glistens in the bright sun light on the hill top. The rocky hills around, have been given very poetic Sanskrit names like “ Gandhamadan, Matang, Hemakut, Malayawant and Rishikesha,” which makes me feel that I have travelled back a millennium in India's history. The Bus is now leaving for the main attraction, “Viththala Mandir.” I get down from the bus just near the entry gate with a Gopura or a tower. Opposite to this, is a familiar view, a long bazaar with rows of stalls or shops constructed from stone slabs, now in ruins, on both sides of a longish pond or a water channel like what I saw in Krishna Bazaar. This place was Hampi's main cattle market. The middle water tank was for feeding the animals kept for sale. Traders from far off lands like Arabia would bring Horses here along with local cows, bulls, goats etc. I turn back and look at the Gopura, which is much damaged now, but whatever remains has stunningly beautiful figures sculptured on it. I enter the temple court yard. An enormous view unwraps itself before my own eyes. Right ahead, in a straight line stand 3 platforms called as “Dhwajapeeth” or Flag pedestal, “Jyotipeeth” or pedestal of a flame and “ Balipeeth” or Sacrifice pedestal. Behind this, but in the same straight line is a large sized “Tulsi Vrindavan” or the Basil shrub Pot, made from stone. 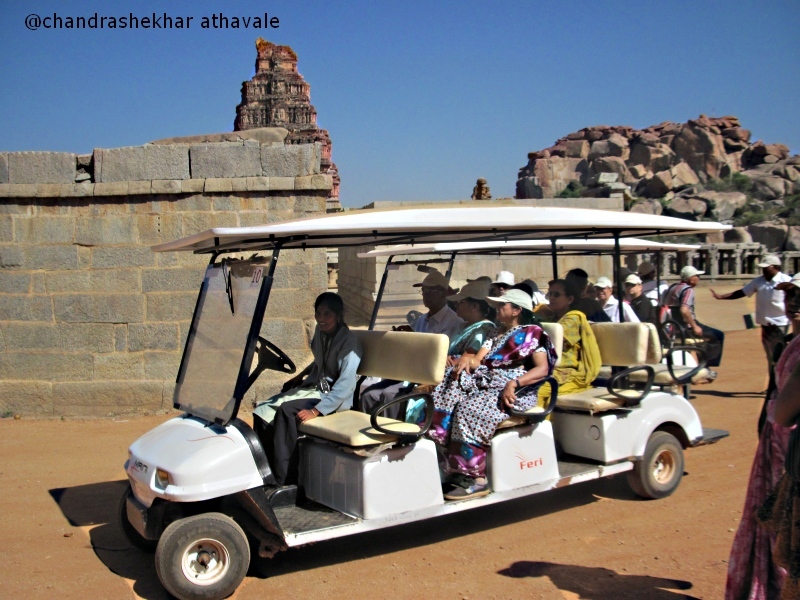 Behind this, is the world famous chariot of Hampi, carved from a rock. The main temple hall is at the end of this straight line. 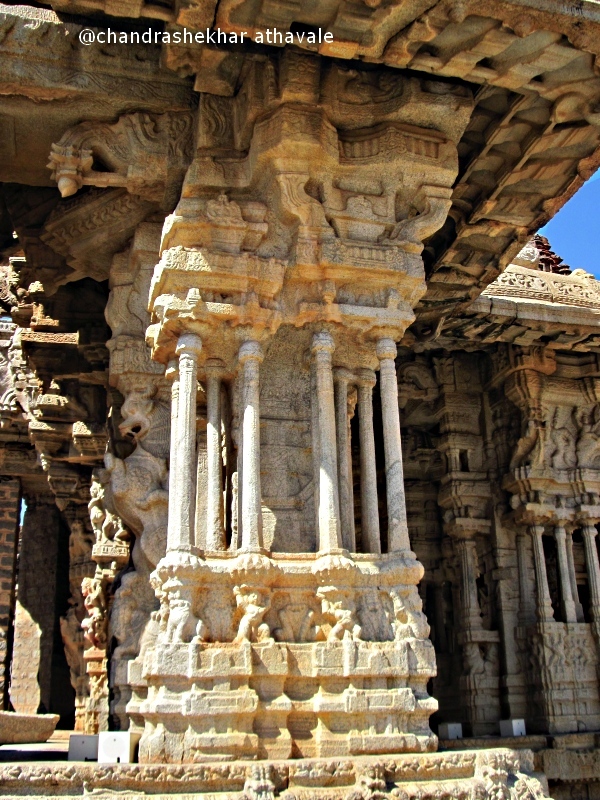 On both sides of the main temple hall, there are open structures without any walls with highly decorated supporting pillars. 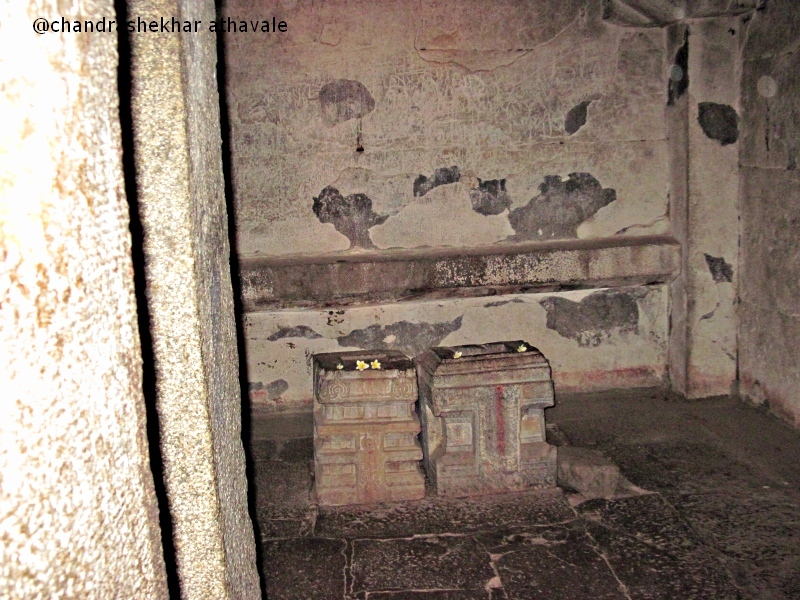 The structure on right was a kitchen and the one behind was used for chanting religious songs or “Bhajans.” The structure on left was used for solemnizing marriages. 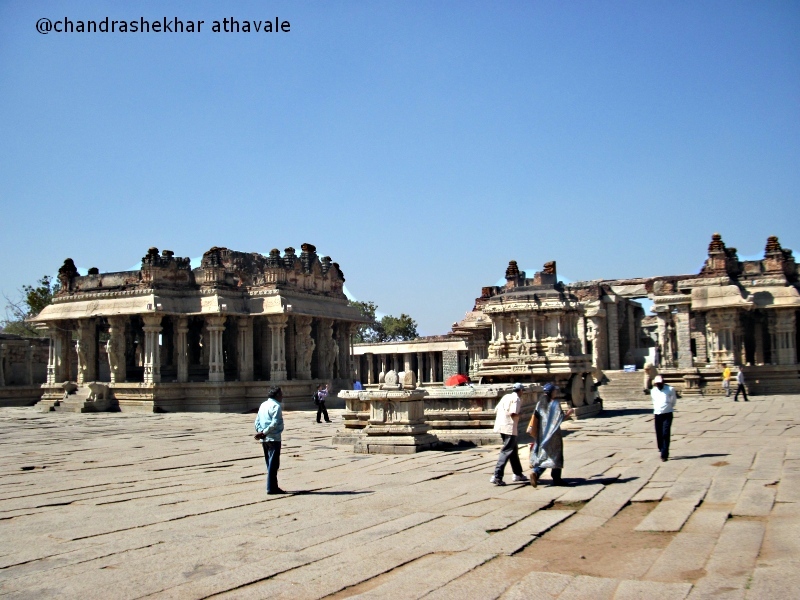 The structure in front of this marriage hall is a dance hall built by King Krishnadevaraya. His second wife, “Chinnadevi” used to dance here on special festival days like Dussera. Arrangements are provided to enclose the dance hall in curtains so that only selected few can watch the dance performed by the Queen. On this day Queen would dance at 3 places; Krishna Temple, Virupaksha temple and this Viththala temple. I am now wandering around the temple court yard. The first and the foremost sculpture that I see is obviously the Rock Chariot. This is not a monolith but has been assembled from separate rock parts made independently. 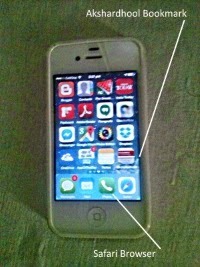 The joints have been hidden so well that it appears that it has been carved out of a single rock. This Chariot was a temple of an eagle, supposed to be the carrier of Lord Viththala and hence has been set up right in front of the main temple. 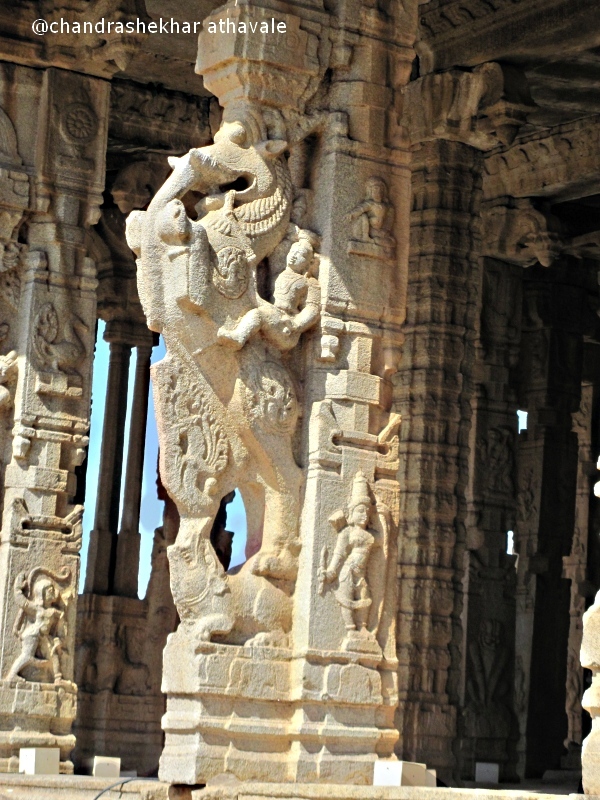 On three sides of the Chariot, bass reliefs describing various wars between Gods and Demons, along with other decorations are seen. The front side has the entrance door and a stone ladder. The 4 wheels of the chariot also are made from rock and could rotate on axles made from stone. Wheel are decorated with flower patterns. The whole chariot was painted with bright colours and remnants of the paint are still visible at some places. Two pull this chariot, two horse sculptures were in position. These are now destroyed and their hoofs and tails only remain now. Two elephant sculptures have been kept in their place by Archeological department. The main temple hall constitutes of four wings. 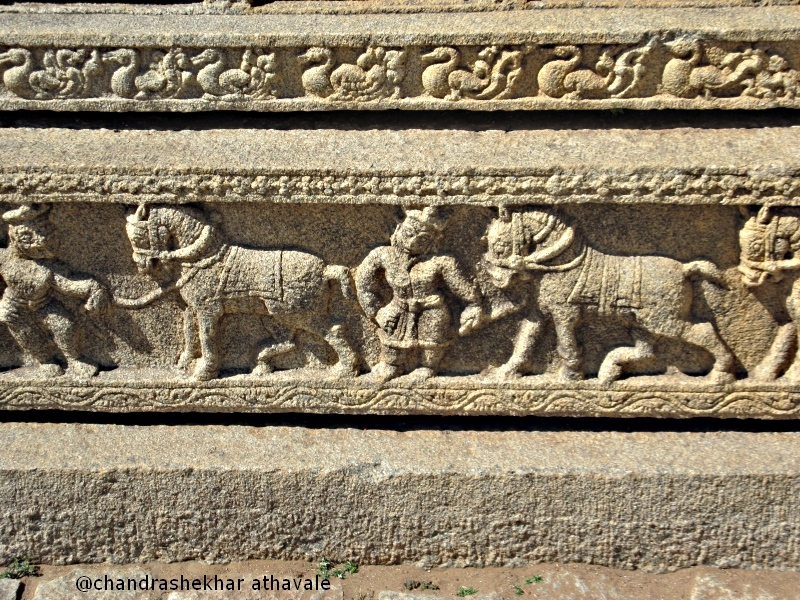 On the sides of the eastern steps, there are two elephant sculptures, whereas bass reliefs of an imaginary animal “Yalis” adorn the north and south steps. The entire plinth area is decorated with beautiful bass reliefs which include reliefs of horses and their trainers. In the temple halls there are pillars with fantastic engraving work. 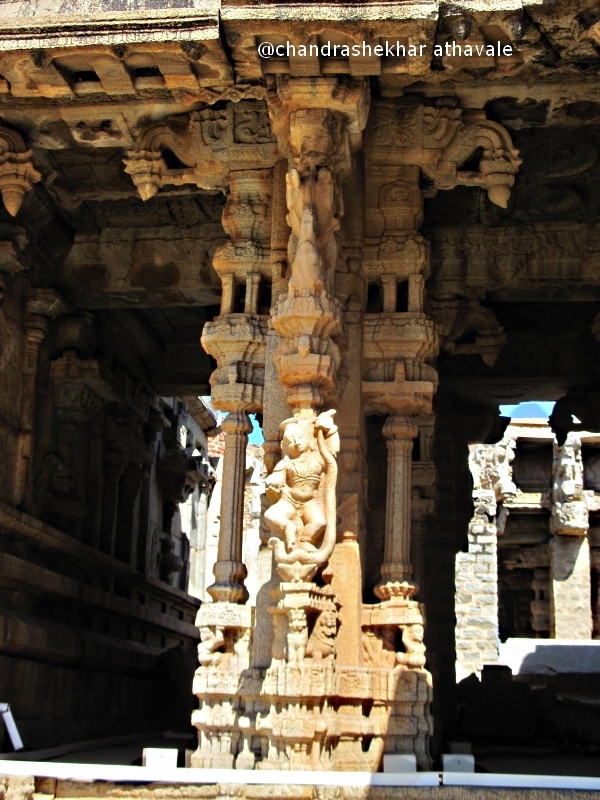 The pillars in the front have carved wind pipes, which can create all notes like Do Re me.... etc. of a musical scale, when hit with a wooden hammer. 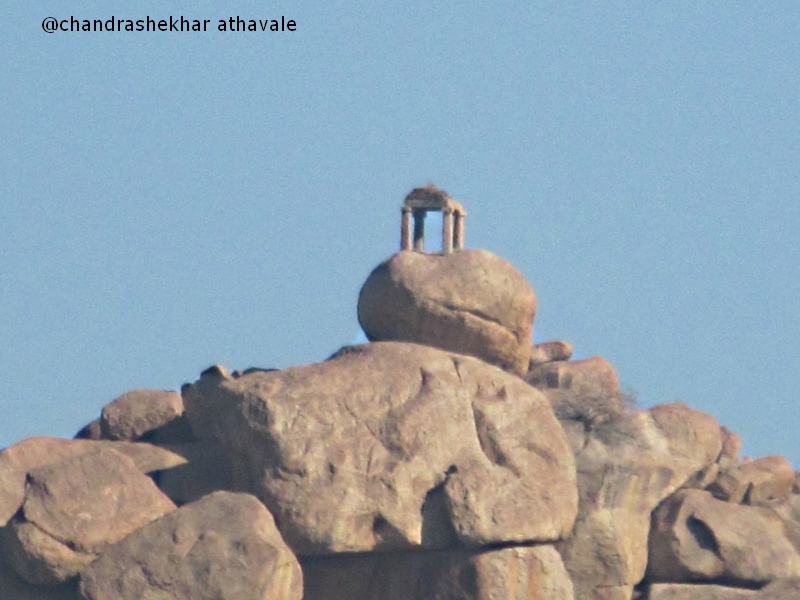 It is said that other pillars produce sounds, that appear like various musical instruments. To prevent damage to the pillars, hammering the pillars is no longer allowed. The eastern wing is known as music hall and has bass reliefs of musical instruments and players only. Southern wing has bass reliefs of the imaginary animal “Yalis” only. 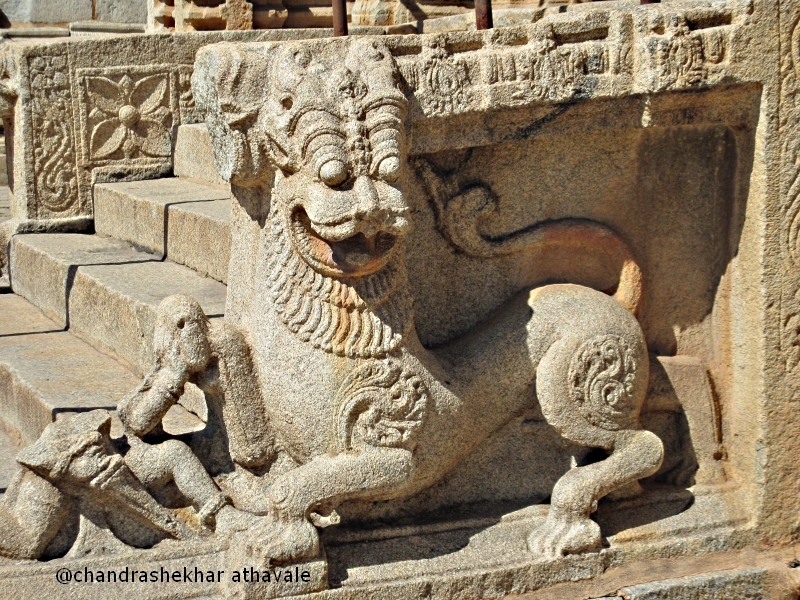 Northern wing has bass reliefs of Lion-Man God “Nrisimha” only. Western wing does not exist any more. 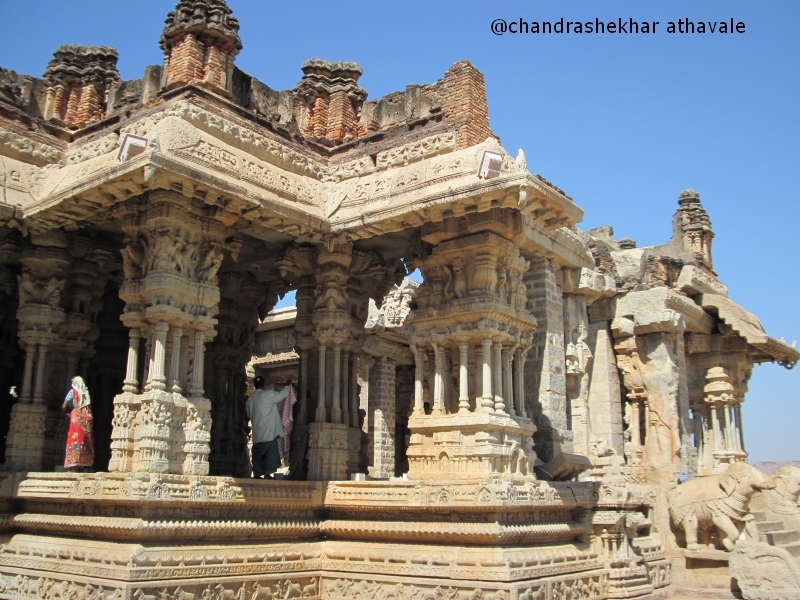 Ahead of this main temple hall, is the sanctum of the temple with bass reliefs of lotus flowers on outer walls. There are no idols in the temple, which I am told were taken to Pandhapur town in Maharashtra state. Perhaps a hearsay without any basis. I can not be sure. 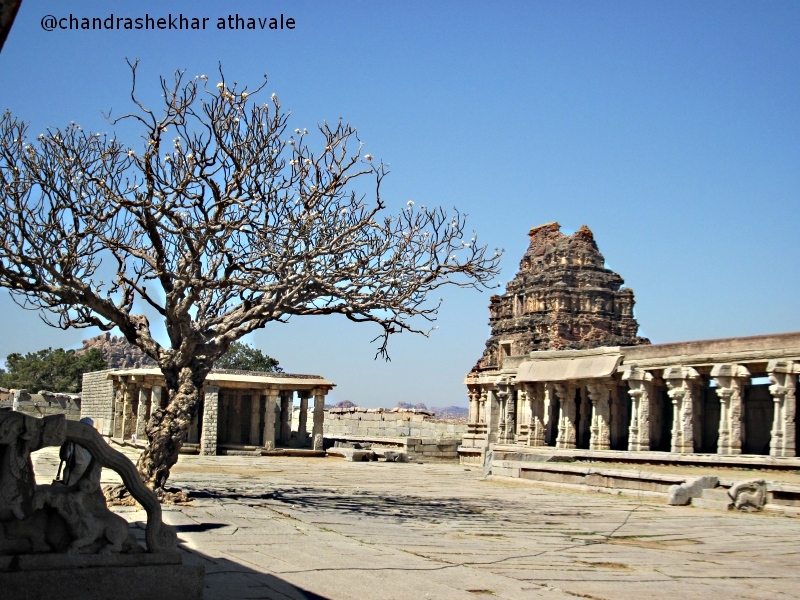 Viththala temple no doubt is the best place in Hampi to visit and if one has very little time, he should definitely see this. 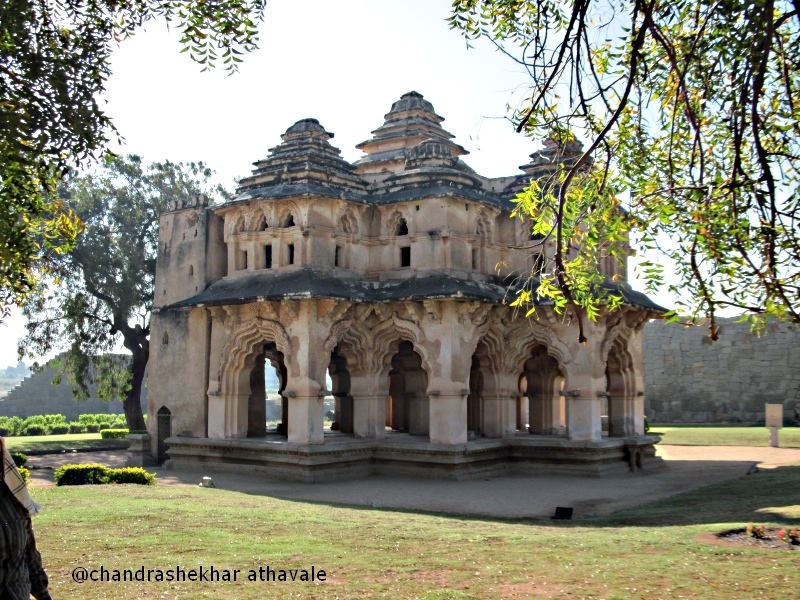 The final war between Hampi army led by king Ramaraja and joint forces of four kingdoms formed after demise of Bahamani empire, and known as “Nizam shahi, Adil Shahi, Barid Shahi and Imad Shahi” took place at Banihatti on 23rd January 1564. 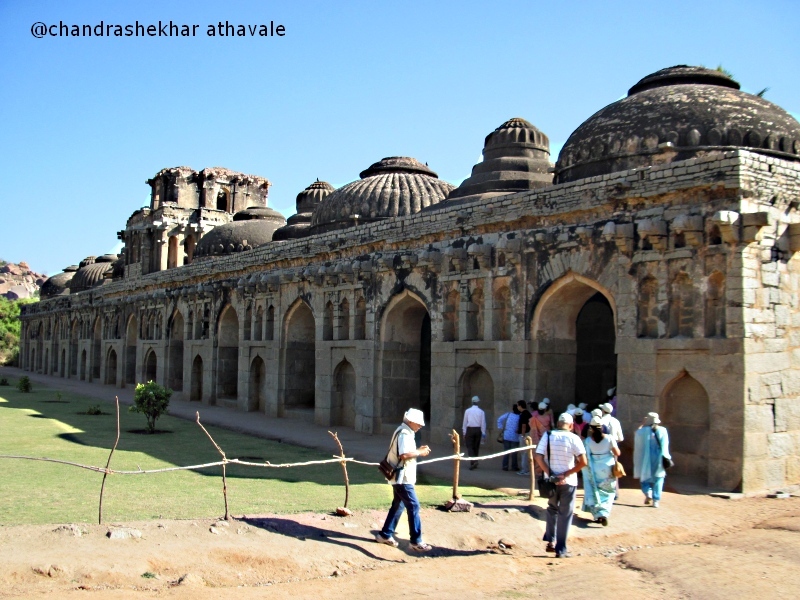 The famous “Malika-e-Maidan” or Queen of the battle, gun of Vijapur was used for the first and the last time in this battle. 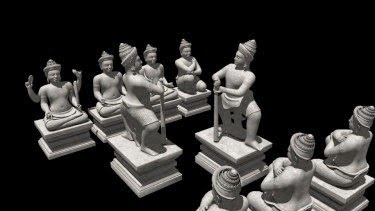 The Hampi king “Ramaraja” was killed in this battle and Hampi army was defeated. 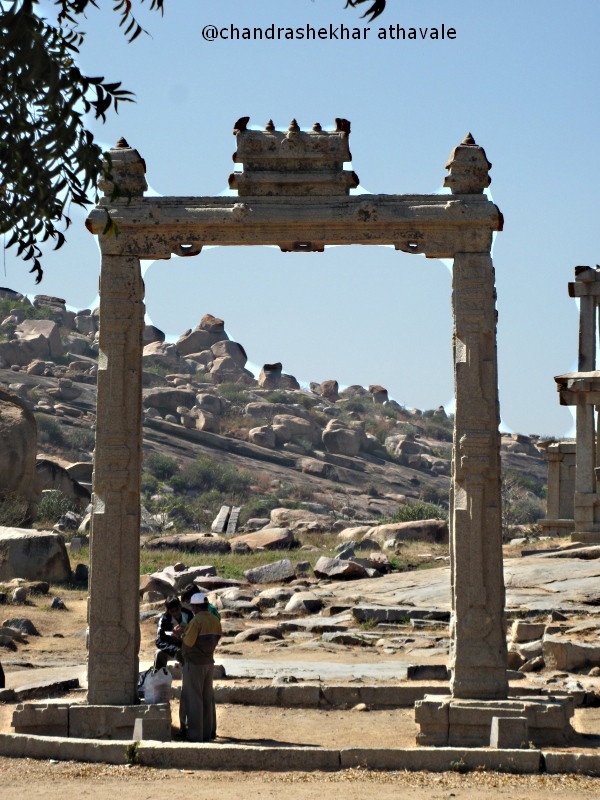 For a period of 6 months afterwords, enemy forces completely destroyed the once stunning beautiful capital of Hampi and converted it into ruins. Even then, as I have mentioned earlier, the process of Islamization of India, which was stopped by Hampi empire could never recover again. Few decades after demise of Hampi empire, a new form of Hindu power rose in the Deccan, led by a brave general; Shahaji Bhonsle. In the ensuing power struggles, all other kingdoms except “Adil Shahi” were destroyed and the power struggle in the Deccan revolved around this kingdom and Bhonsale dynasty for next century before entry of Mughals from Delhi. 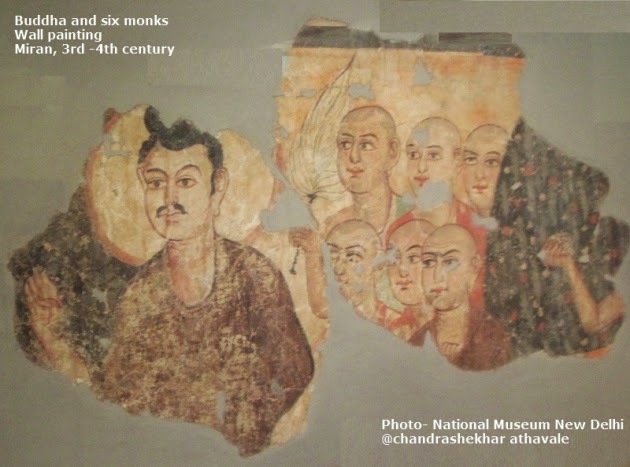 In my Deccan safari, I have now to go back by 1000 years from times of Hampi empire and to the times of the Chalukya's, who were supreme lords of the Deccan around 700 CE.